Dragons suffered derby heartbreak as Cardiff Blues battled back with a brace from Owen Lane securing them the Guinness PRO14 victory at Rodney Parade. A stunning opening 20 minutes from the home side saw Josh Lewis and Jared Rosser go over for inspired Dragons. Back came Cardiff Blues and they hit back when wing Lane got the ball down under pressure to cut the home lead at the break. The game was evenly poised until the hour mark, but quick-fire tries from Kristian Dacey and Lane wrapped up the derby win for the visitors. Head Coach Bernard Jackman made eight changes from the side that lost at Glasgow Warriors, with Cory Hill, Ollie Griffiths and Ross Moriarty back in the pack. 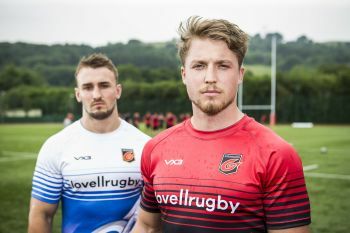 The breakdown was eagerly contested in the opening minutes with Dragons winning two quick penalties, the second resulting in a penalty attempt from Josh Lewis that drifted wide right. Back row Aaron Wainwright and Lewis then carried strongly as Dragons maintained the early momentum and raced up to the visiting line. Brandon Nansen was repelled after a huge charge into contact before the home side won a five-metre scrum with Hill held up by Owen Lane. Centre Adam Warren then won a penalty, that was kicked to corner, and Dragons then rumbled up to the line before sparking an attack. The ball spun through the hands to Jordan Williams who caused panic with a dart before he popped a pass to Lewis who arched his run around and handed off last man Morgan to score. Both teams were unloading huge tackles, with Ellis Jenkins and Ross Moriarty at the forefront as both teams pushed for territory. However, it was Dragons who struck again on 19 minutes with a superb score from deep. Warren break away on the halfway line and fed the supporting Lewis who duly drew the final man before popping a pass to Rosser to score. Jordan Williams added the extras for a 12-0 lead. The visitors looked for an immediate response and kicked to the corner only to lose possession as the ball was spun down the line. Seconds later Anscombe broke away into space and released Harries, but as the wing looked to step inside he was shunted into touch by Howells. A clever grubber kick from Lloyd Williams then found the on-rushing Willis Halaholo who dotted down under pressure from Moriarty, only for the score to be chalked off after consultation with the TMO. The visitors were cranking up the pressure and finally broke through after a series of scrums, the ball finding Lane out wide who did well to get the ball down with three tacklers around him. A fiery final ten minutes in the first saw Dragons hold firm under more visiting waves of attack to take a seven-point lead into the break. Dragons made a half-time change, with Tyler Morgan on for Rosser, but it was Cardiff Blues that looked to make a quick start with Harries breaking down the wing only for a forward pass to force play back. Slick handling from Morgan and Jordan Williams freed up space for Warren, but his kick ahead into space just flew over the white line to hand territory back. Two long range penalties from Anscombe cut the lead to a point before Jordan Williams responded with a penalty of his own. Cardiff Blues went ahead for the first time in the game courtesy of a powerful driving lineout, scored by Dacey on the hour, for a one-point lead. Four minutes later they struck again with Anscombe breaking from deep after tussling for a high ball with Morgan. When the ball was spun wide through hands it was Lane who went over for his second of the game to extend the lead. Dragons fought bravely to the end but were denied a losing bonus and left empty-handed despite a spirited display.